In 1979 I attended a club performance by the original lineup of Jack DeJohnette’s Special Edition, a quartet that, along with Peter Warren on bass and DeJohnette on drums, featured two horn players, one who switched between tenor saxophone and bass clarinet (David Murray) and the other an alto player (Arthur Blythe). Even this jazz newbie could tell he was witnessing some top-tier musicians, and when the horn players engaged in simultaneous soloing, as they did several times that evening, the effect was exhilarating. Walking into the concert, I had no idea who the sidemen were in the band; walking out, I realized I had some catching up to do. In the case of David Murray, that was no small task, not so much because of his discography prior to that point (his first album came out in 1976) but what followed. It wasn’t just the number of records he appeared on (in 1988 alone he put out seven LPs as a leader) that kept his fans busy; it was also his versatility. Here was a musician whose early discography includes memorable solo recitals, duets, trios, quartets, octets, and a big band that created quite a buzz in New York City’s now-defunct Sweet Basil. 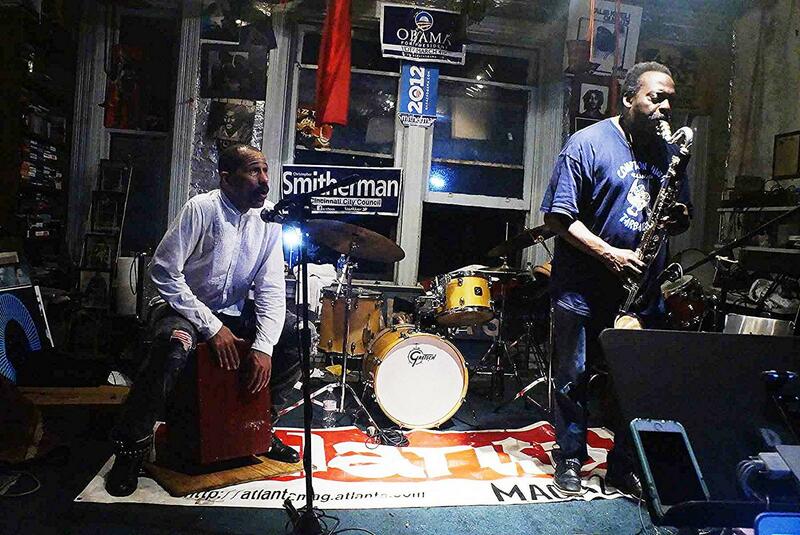 Murray was also a member of the World Saxophone Quartet and Clarinet Summit, plus he collaborated with Kip Hanrahan and such literary figures as Ishmael Reed and Amiri Baraka. Yet that only tells part of the story, as predicting David Murray’s next stylistic detour during this period was next to impossible. First tagged as a fire-breathing enfant terrible of the avant-garde, he soon proved a fine ballad player on songs like “Ming” and “Home” and surprised listeners with a more straight-ahead sound on 1983’s Morning Song, his first album to include standards. Also, Murray quickly stood out for his ability to connect with musicians from different generations. Fellow young musicians Murray collaborated with during the 80s included Anthony Davis and James Newton. Murray also seemed at home with veteran avant-garde jazz musicians (Lester Bowie, Andrew Cyrille, Dave Burrell, Sunny Murray, and others) and musicians who were not associated with the avant-garde (Randy Weston, Joe Chambers). More than just a musician who played gigs and recorded albums, Murray was a unifier and a spokesman. During the early 1980s Murray went from the loft scene to club dates, and then to larger venues, including small halls and outdoor festivals. But after he moved to Europe in 1996 keeping up with David Murray required more diligence, and lately what has long seemed like a nonstop stream of recordings has slowed down a bit. His website and Facebook page aren’t exactly overrun with updates, and the only concert dates I heard about were on the East Coast. So when I was told that he’d be performing at a loft space within walking distance of where I live in Cincinnati—a city he’d never played before—I decided fake news had finally penetrated to the jazz world. But this news was real. On a sweltering summer night Murray played the Loft Society, a venue inside a third-floor apartment where the air conditioning and even the fans were turned off (too loud). Every time the Loft Society hosts a concert it seems like time stands still, as you’d swear, during the performances, that you were sitting in a New York City loft during the heyday of loft jazz, as musicians who play there have been quick to note. That night Murray performed duets with Kahil El’Zabar, who played a variety of percussion instruments, including a full drum set. Although I hadn’t seen Murray perform for over 20 years, it took only seconds to get reacquainted with his sound, which includes high-register notes as well as some of the lowest tones you’ll hear from a tenor or bass clarinet, solos where he invokes Ben Webster in one phrase and Albert Ayler in another, and what is often a very vocal-like approach. Between sets Murray gave me his phone number, thus launching a series of conversations that started during the end of his tour with Kahil El’Zabar and ended after he returned to his apartment in New York City. I quickly learned that Murray, who was born in 1955, was doing gigs around L.A. when most kids his age were buying their first 45.